Math is a colorful, exciting 3-minute drill for kids learning their arithmetic facts. Students move numbers into position to solve more and more challenging equations. For every 10 correct answers, children teleport through snow, planet, forest and space themes to achieve a high score. Problems answered incorrectly reappear later until the child masters them. 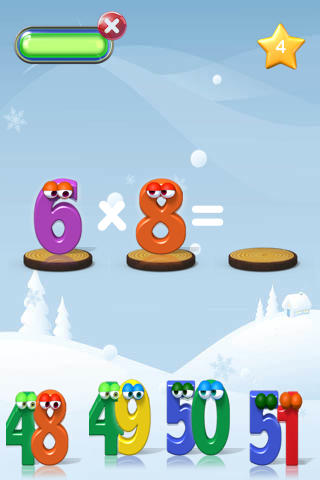 This app makes arithmetic fun. Kids like the 3-D animations and try to achieve better, higher scores. Parents and teachers see that higher scores require quick, accurate answers. The user experience is so simple, children know intuitively what to do: just tap or move numbers into place. 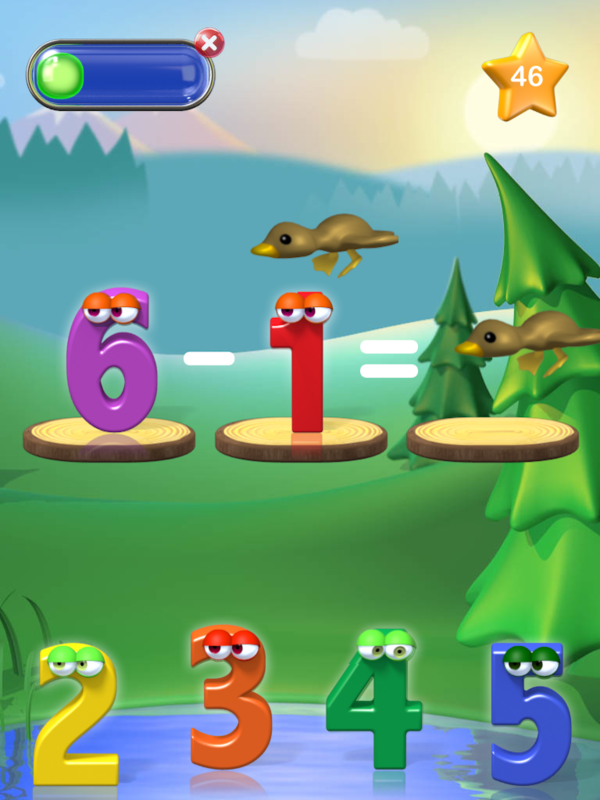 The game is intended for children who know their numbers and have a basic understanding of arithmetic. No other reading skills are needed. On an iPad, precise finger accuracy and coordination are not required; the large numbers and buttons are accessible by kids with physical movement challenges. The music and sound effects in Math are not essential to game play, so both deaf and hearing children can have a fun, learning experience. We are two dads who want our kids to be excited by learning, so please let us know how your student uses Math and what we can do to make the experience even more fun and educational.